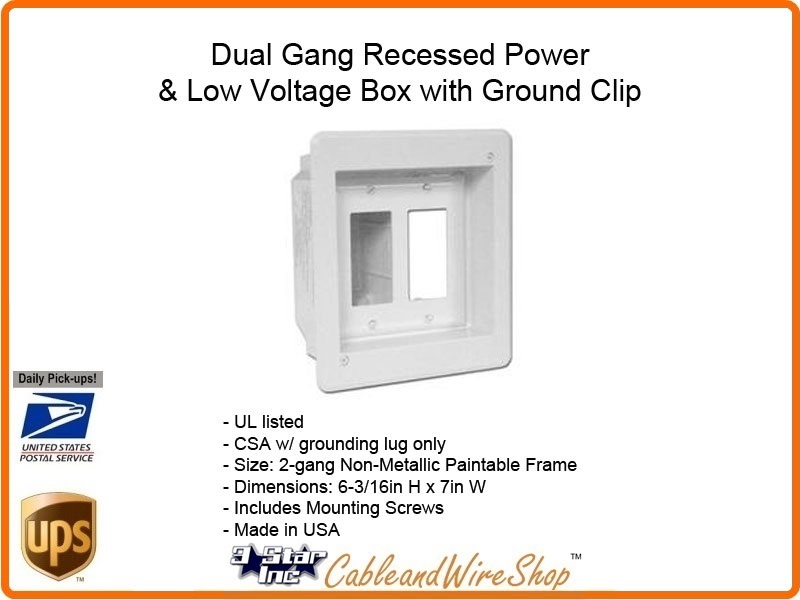 This Double Gang for Old and New Work Recessed TV Box for Power and Low Voltage allows you to mount LCD and plasma TVs, and other system components flush against the wall. This 2-gang box is a combo box with half for power and half for Class 2 wiring of satellite or cable TV, speakers, surround-sound, etc. Mounting "wings" tighten against the wall board to hold the box firmly in place. Plugs stay inside and don't protrude past the wall. Provides for a secure installation and includes a grounding clip.